We give every job "the Designer Touch!" Slowing down the human pace. 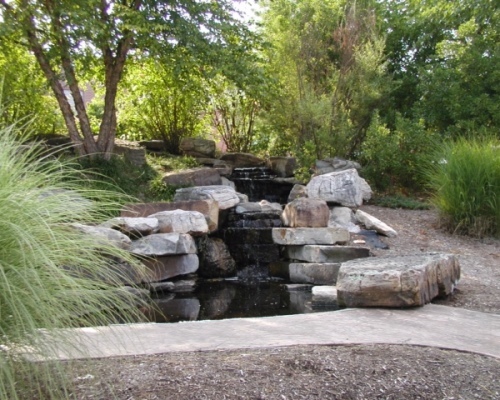 Outdoor and indoor water features are some of the most exciting and rewarding projects Designer Landscape creates. 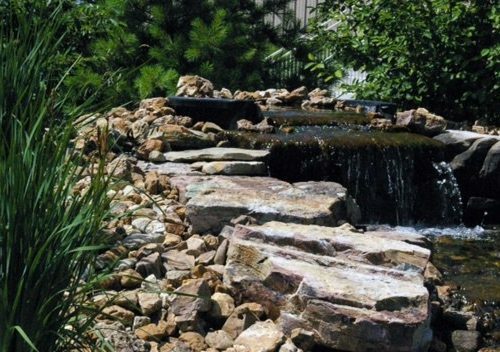 We have designed and built natural waterfalls ranging from a small trickle to 15 foot tall features with large cascading corridors of water. The sound and sight of moving water has soothed and mesmerized people since there has been people and water. 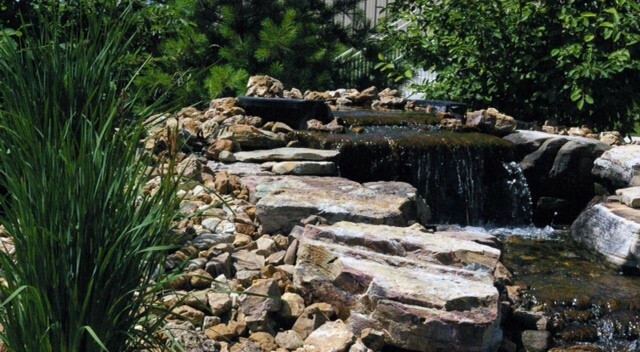 Designer Landscape can create a water feature using the natural slope of your property, using a pond or lake, or by shaping the surrounding ground to accentuate the natural cascade of the falls. The sound of flowing water can drown out background noise and allow for peaceful thought and contemplation away from the hectic day to day. When you are thinking of adding a water fall there are several things to consider. Designer Landscape can help you ask and get the right answers to questions. 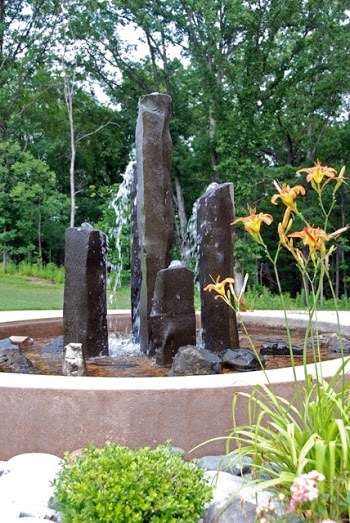 Designing the water feature should be the first step in the process of building your project. Designer Landscape can help you answer questions and visualize your new feature. Where should the waterfall be placed for the best viewing? Can it be seen from several vantage points? Looking down on a water feature from a deck provides an interesting dimension and a unique perspective. Additional considerations are how the water fall ties into the existing surroundings. What are the water volumes and pump size that provide the proper amount of water flow to give a dynamic rushing water feature or a slow peaceful trickle of water over the rocks and stream bed? Should you consider a pondless stream or falls? Boulders, gravel, liner or concrete pool, piping size, plumbing etc. 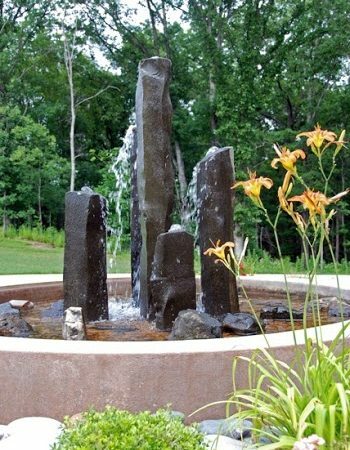 are other considerations Designer Landscape can help you with to create a beautiful water display that you can enjoy for many years. 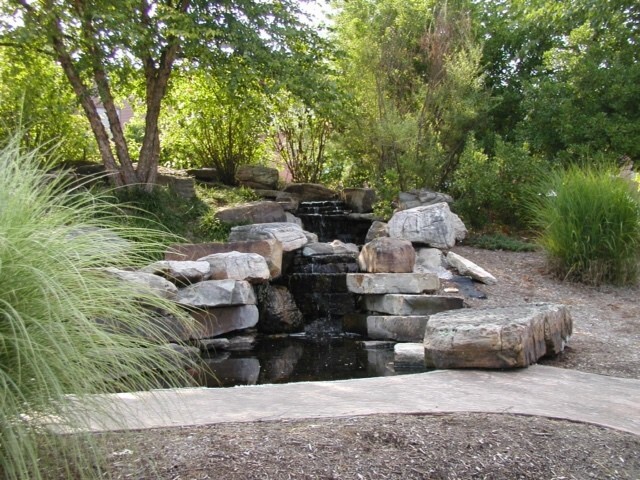 Contact Designer Landscape to help with any of your Water Feature needs.